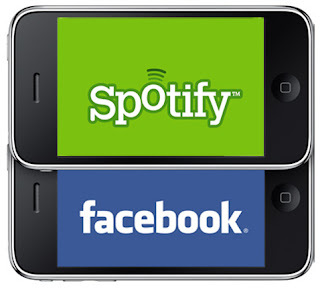 Browse » Home » spotify » Facebook partnering up for Launching Music Service With Spotify??? Facebook partnering up for Launching Music Service With Spotify??? Facebook may be launching a music streaming service any day now. Sources familiar with the situation have divulged that the giant social network is partnering up with European-based music service, Spotify. The service is reportedly going through testing at the moment and could be available one weeks from now. When launched, it will be an integrated feature that you'll find on the left side of your news feed right below your usual photos and events icons. When you click on the Spotify icon, the service will install on your desktop in the background and give you access to its library of millions of songs. You would then be able to access the music via Facebook, and even listen to the same music simultaneously with your friends. Its not certain yet whether it will be called Facebook Music or Spotify on Facebook but either way its only available to those in countries where Spotify is supported. Currently, that excludes folks in the United States. Spotify is still in the process of negotiating with labels here in the U.S., but as we've seen how unsuccessful Google has been with label negotiations for their Music Beta, it could certainly be a long road ahead. It also makes sense that the once rumored Google and Spotify deal didn't pan out.